Many educators have been experimenting with the flipped classroom model. In a flipped classroom, instruction (or lectures) are delivered online, outside the classroom. Most often this takes place at home or when students have access to a computer during a free period. Instead of listening to lectures in class and applying what they have learned on homework, students come to class prepared to work in groups or independently with support from their teacher. During face-to-face time, the teacher is able to provide resources and support to students as they complete activities and projects. The teacher can devote time in class to problem-based learning, challenge-based learning, understanding by design or just more individualized learning. In a flipped classroom, teachers assign videos to watch for homework. These videos include prerecorded lectures that shows the teacher writing on the board, presenting a PowerPoint slideshow, or explaining a concept. An instructor might record themselves giving a traditional lecture, and then edit it to a condensed version. Or the video could be screencasts, where the teacher creates a PowerPoint presentation that plays with their recorded narration. Many teachers ask students to watch video clips from an online resource, like Channel One News, as part of their homework. Why are teachers flipping their classroom? 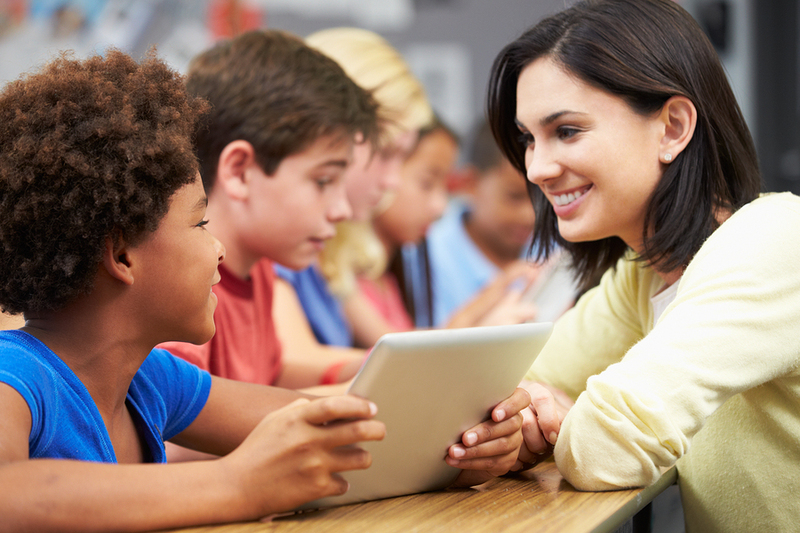 Many teachers are reevaluating how they want to use their face-to-face time with students. In a flipped classroom, teachers replace time once devoted to lectures with discussions and activities. It allows teachers to circulate and guide students through problem solving with individualized attention. Teachers who are flipping their classroom are really taking control of how they allocate their time. They want to make the best use of their face-to-face time and be able to talk with students as opposed to at students. This creates an environment where students work together to solve problems and promotes inquiry by giving teens an opportunity to gain background information before they come to class. How can teachers get started? For teachers interested in trying out the flipped classroom model, they can start by reflecting on how they currently use face-to-face time with students. Teachers should look for places where replacing a lecture with a video makes sense. They’ll also want to think about how their students will access these videos and what accommodations need to be made for students with limited resources at home. Start small, and build your comfort level using this teaching model. Have you tried flipping your classroom? How might this work with your students? I have been running a flipped classroom all year long for 2 of my math classes and have gotten great support from the students & parents. If the students truly use the YouTube videos I upload and their slots notes, the practice in class is time well spent. It’s also a great system for absent students, make-up work, and reviews for Tests, since students can simply rewatch a lesson to study. For many of my students, where ever they go, their math teacher is in right their pocket! I believe that this is a great idea. Kids would understand school work so much more. I know I would. The problem is… What if a student has no internet.? There are solutions to many of the challenges that can arise. NO INTERNET – use a video sharing tool like Flipasaurus.com. Teachers can create a podcast that students can subscribe to. This means that when they are at school the videos are downloaded to their devices using the school’s internet. NO DEVICES – put the lessons on a dvd. Be creative. That’s shat teachers do. It isn’t for everyone but definitely can revolutionize how you spend time helping students in class. I don’t think that flipped classrooms is a good idea although it will save time, some kids need face to face and hands on teaching in order to fully learn, also some people have things to do after school you’re suppose to learn at school not after. Love this idea. It’s a great opportunity to provide education in a different way. I wish my school did this!